The 2018 Wimbledon final saw two giants of tennis trying to make comebacks in their career to reclaim their titles. Novak Djokovic triumphed, and Serena Williams lost, yet she still inspired the crowd. Djokovic beat the South African Kevin Anderson to win his fourth Wimbledon championship. Seeded 12th, he won in 3 straight sets to claim his 13th Slam, his first since the 2016 French Open. The Serb quickly took control of the match and was able to break Anderson’s serve repeatedly in the first two sets. The third set went to a tie-breaker, but Djokovic promptly regained his dominating form to clinch the victory. With this win, he is now back in the top ten men’s world rankings and chasing the grand slam records of tennis legends Roger Federer, Rafael Nadal and Pete Sampras, just needing one more to equal Sampras. 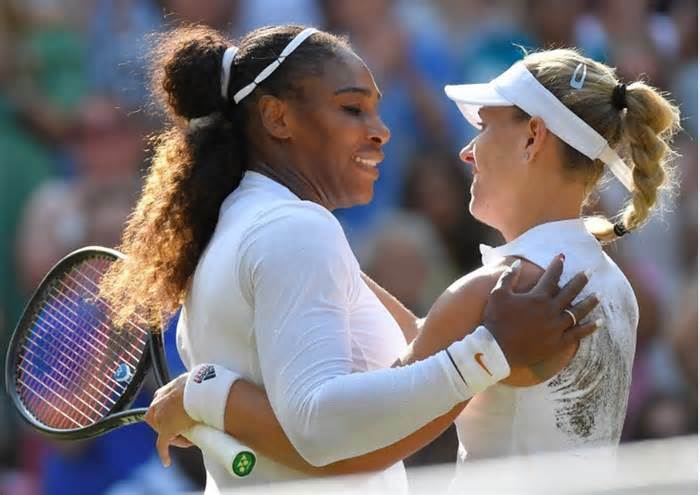 Germany’s Angelique Kerber won the Wimbledon single women’s final on Saturday, preventing Williams’ quest to win a 24th Grand Slam title and eighth Wimbledon championship. The 36-year-old Kerber went in as 11th seed and beat the favorite 6-3 6-3 to take her third grand slam after winning the Australian Open and US Open in 2016. Despite Serena’s world ranking of 181 due to missing much of the season after giving birth, she was still odds-on for the title because of her championship mindset, physical prowess, and because she flourishes on the fast surface of grass. Kerber, who is usually a defensive player, switched up her tactics with an aggressive attacking style of play to strain Williams’ mobility around the court. It was a rewarding strategy which led to Serena dashing to the net frequently and making 12 errors there. The German former world number one also managed to keep breaking the formidable Williams serve. On winning, Kerber dropped to the grass to revel in the glory. The first German woman to win Wimbledon since Steffi Graf in 1996, she claimed: “It is a dream come true”. The victory was all the more poignant because she was beaten by Williams in the 2016 Wimbledon final, who came over to her side of the net with a congratulating warm embrace. “Days after our baby girl was born, I kissed my wife goodbye before surgery and neither of us knew if she would be coming back. We just wanted her to survive—10 months later, she’s in the Wimbledon final”. In an interview after the game, Williams stated she was playing for all mothers that want to go back to careers while raising children. Due to the massive challenges she has overcome, a flurry of social media reacted to her inspiring words, with many pundits hailing her as a ‘Super Mom’. Unsurprisingly, Serena and her husband now have their sights set on future titles while raising their daughter. If you want to learn how cognitive training technology can help tennis skills, then check this blog.